A vitamin essential for fertility, vitamin B6 has long been used as a supplement for regulating the menstrual cycle, more exactly the luteal phase. The luteal phase is the period between the day of ovulation and the first day of the following cycle. This period usually lasts for 14 days, but a hormonal imbalance in your body can upset this cycle, making this period too long or too short for conception. Vitamin B6 plays an important role in reestablishing your hormonal balance, thus making it easier for you to get pregnant. Vitex chaste-berry is a natural extract used since Roman times. Over the years, Vitex has proven to be very efficient in ameliorating symptoms related to Premenstrual Syndrome and has helped many women suffering from Polycystic Ovarian Syndrome as well, by regulating their menstrual cycle. Another natural supplement available over the counter, evening primrose oil products strengthen cervical mucus. The cervical mucus is the environment needed for the sperm to find the egg and fertilize it and if this environment is not favorable, fertilization becomes more difficult. These pills help your body both by strengthening the cervical mucus and by restoring the predictability of the menstrual cycle by making it more regular. The product package comes complete with pregnancy and ovulation tests for keeping track of the menstrual cycle more easily. It helps women who experience difficulties in getting pregnant by increasing ovulation, thus increasing the chances of egg fertilization. 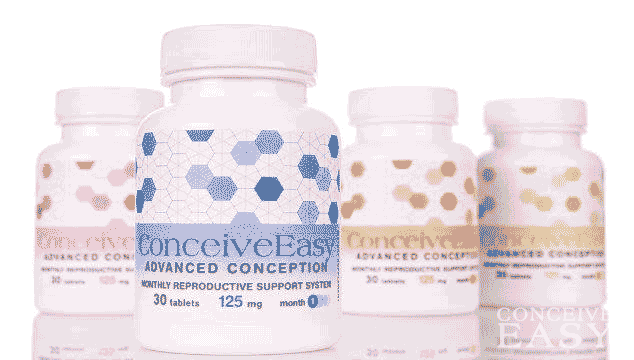 Other benefits of ConceiveEasy include the strengthening of the walls of the uterus and a general enhancement of the immune system. These natural supplements are fertility aids that will not only make it easier for you to get pregnant, but will also assist you in having a healthy pregnancy all the way.